The Jimmy Choo SS13 collection is inspired by the haute gypsy glamour of the late 60's and early 70's. 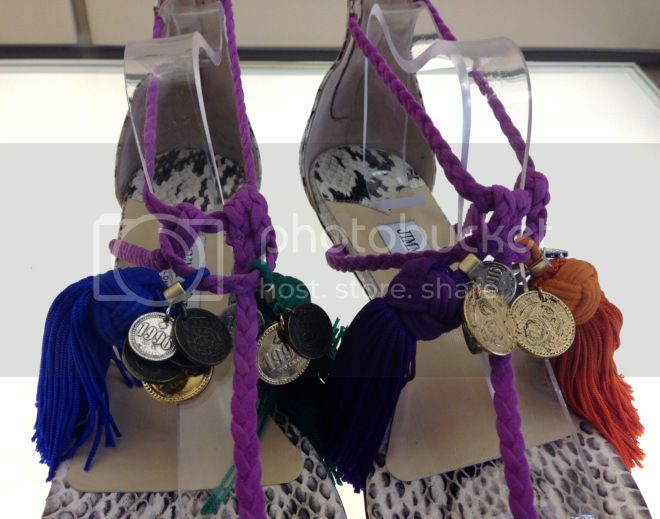 Materials from the likes of suede, python and soft calf leather are used with fringe, tassels and coin charms as decoration. It's the Spring/Summer collection so of course we need some colour in our life like the strappy heel sandals DREAM in natural rock python with purple ankle ties, bright coloured silk tassels and coin charms and platform sandals LOLA with ankle straps in bright floral print python. My favourite picks from the SS13 collection. Love the deep purple pumps! I am following you now through GFC. I do not really like purple colour, but the design of that shoes is amazing! Great shoes!! !I like your blog. What about following each other? OMG! In love with the fisrt 2 pics!!!! <3 Beautiful selection! P.S: Followed you via GFC. Hope you can follow back. You have a great blog. I like your blog and style :) I'm following you! oh i love these shoes. fantastic. thanks for sharing. a girl can dream eh! amazing selection! 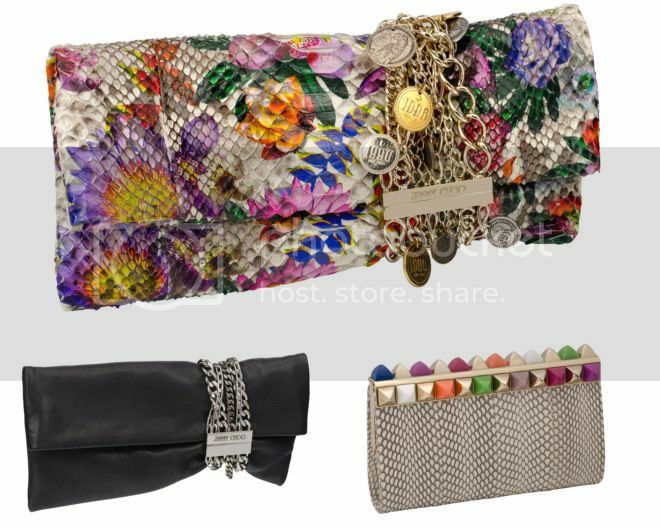 In love with the clutches ! Do you wanna follow eachother?if you follow me i would definitely follow you back..so let me know! 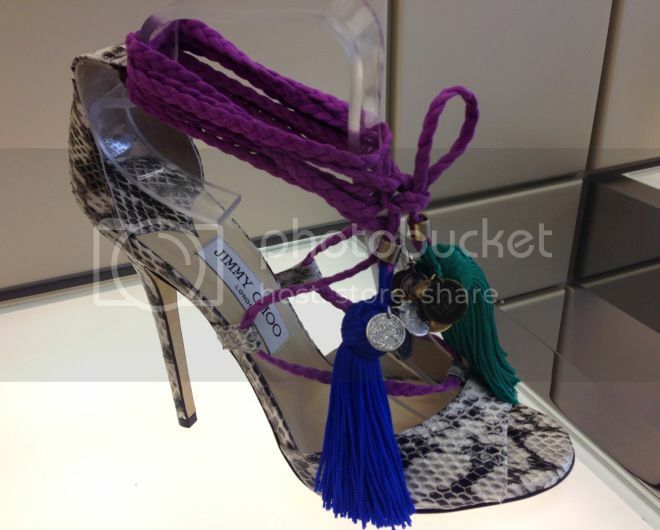 Love what Jimmy Choo is donig with those tassels. Very fierce and playful. I love the purple shoes. 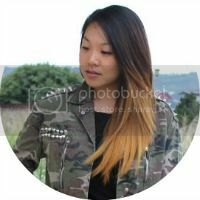 :)) I just started a fashion and beauty blog, http://misselegant06.blogspot.com, please check it out if you wish. :)Thanks! love all of that JC items!